According to court documents and statements made on the record in court, on February 24, 2017, SALADEEN – a 19-year veteran of the NYPD – punched the victim in the face and head inside of an apartment building on West 17th Street while responding to a call regarding possible trespassing. Later, while the defendant and other officers waited for an ambulance to take the victim to the hospital, SALADEEN dragged the victim to the rear of the building and punched him again in the ribs and abdomen. 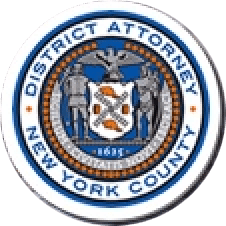 SALADEEN then made false statements about the incident and the nature of the victim’s injuries to his supervisors and to prosecutors, which were subsequently incorporated into NYPD reports, a sworn Criminal Court complaint, and other official charging documents. Assistant D.A.s Philip Gary and Stephanie Minogue are handling the prosecution of this case under the supervision of Assistant D.A.s Julio Cuevas, Deputy Chief of the Public Corruption Unit, and Luke Rettler, Chief of the Public Corruption Unit, as well as Executive Assistant D.A. Michael Sachs, Chief of the Investigation Division. Senior Rackets Investigators Edward Johnson and Christo Christonikos and Investigative Analyst Amanda Rutherford assisted with the investigation. District Attorney Vance thanked the NYPD’s Internal Affairs Bureau for its assistance with the investigation.